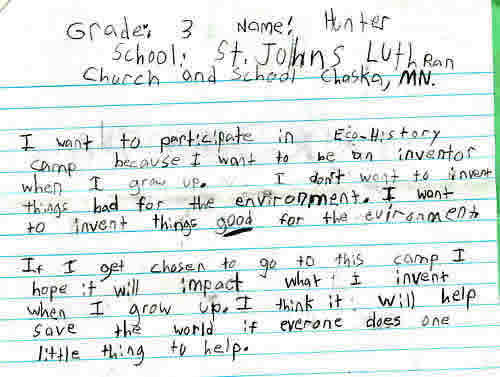 I teach eco-history camp throughout the summer at the Carver County Historical Society. 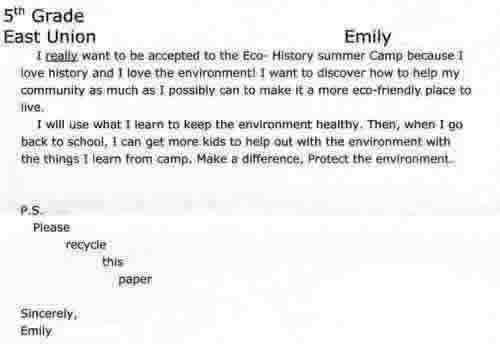 It is a free camp (funded by the MN Association for Environmental Education) and when students apply to attend they write an essay explaining why they want to attend and how they plan to use what they learn. I am passing along some of their essays to you. I think the kids will be stoked! Also, if you’d like more information about the camps, please feel free to give me a call or visit http://www.carvercountyhistoricalsociety.org/eco_history.htm.